In a prayer that war will soon be done! 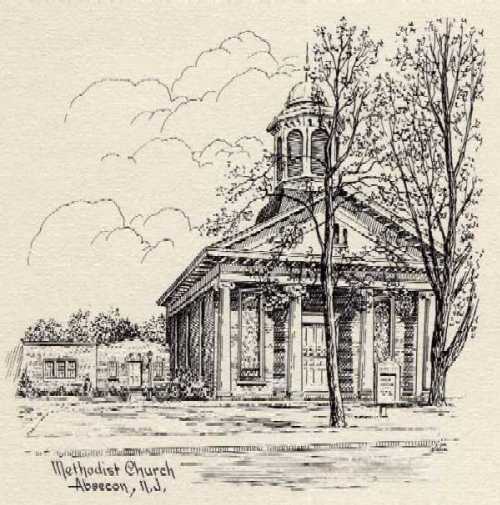 The congregation dates back to a Methodist Revival held in the area in the late 1700s. The original structure from the 1820s was replaced in 1856. I haven’t been there, but illustrations show a gracious building, remodeled several times over the years. I love the image of the young people singing earnestly in the candle-lit church, hoping and praying for peace in the new year. This sketch was made in 1960 by E.O. Nielsen. I hope the coming year brings peace to more people around the globe, and I wish you and yours a wonderful 2012!